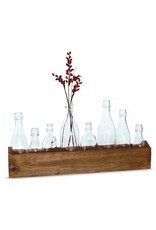 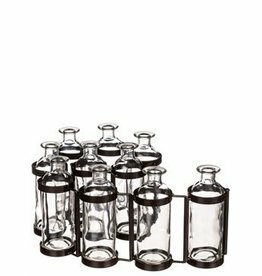 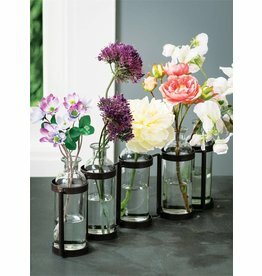 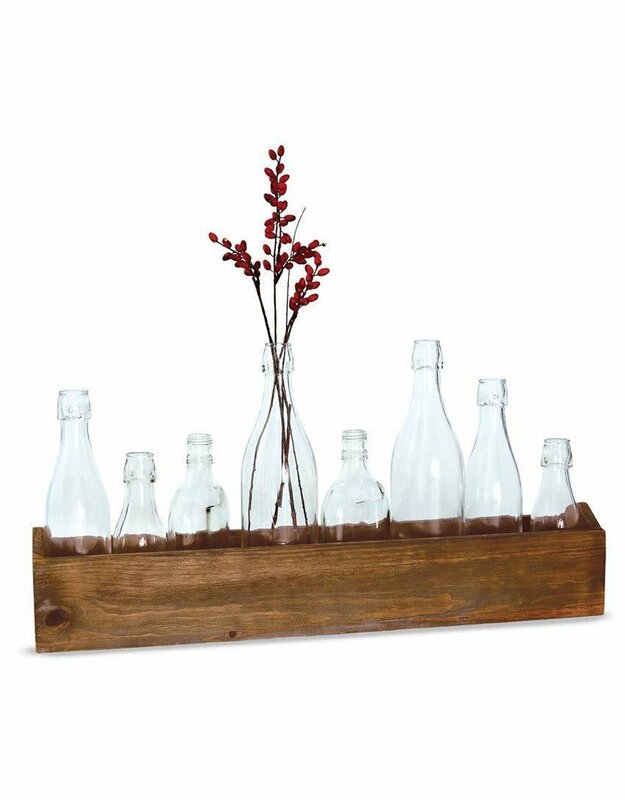 What could be better than one glass bottle vase? 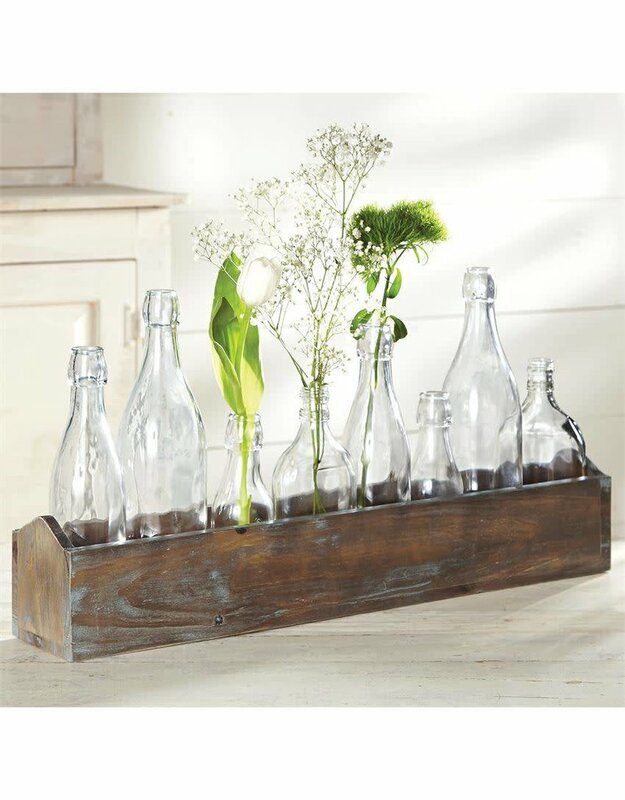 How about five connected together! This metal and glass collaboration is sleek, yet sophisticated to accommodate buds, pretty floral stems or even herbs.